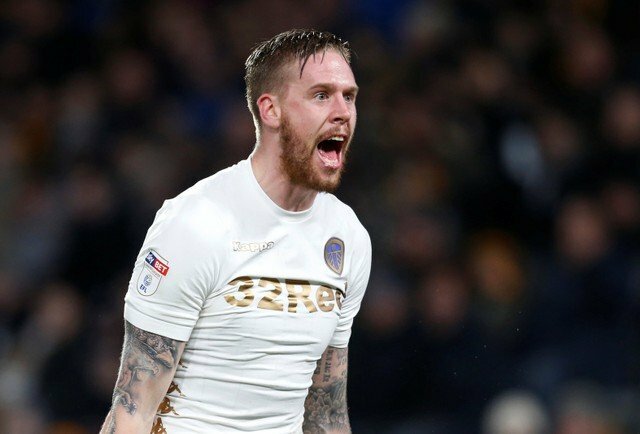 Leeds fans are not happy with Pontus Jansson’s comments after the Reading match, as the centre back issued a rallying cry three months too late. Leeds looked to have secured just their second win since Boxing Day on Saturday at the Madejski, but a Eunan O’Kane own goal meant the two struggling sides shared the points. Jansson equalised for the Leeds on the brink of half time, after Jón Daði Böðvarsson had given the home side the lead. Pablo Hernandez thought he had stolen all three points for the visitors, only for O’Kane to put one in his own net just two minutes later. It was an improved performance from Paul Heckingbottom’s side, with most fans at least somewhat happy that they finally showed a bit of fight. However, it wasn’t exactly a controlled performance, and Jansson’s post match comments have angered fans. “At the moment I feel ashamed. In 2018 we have one win and I’m born to be a winner and win games. That’s what I live for, that’s why I play football – because I want to win games. We’ve got one win in 2018 so I feel bad,” said the 27 year-old defender. Leeds fans will take at least some promise from the performance on Saturday, and the fact that the players are clearly frustrated with their recent form means at least they have something in common with the fans. Still, fans are not impressed in the slightest by Jansson’s comments, questioning the point of even issuing a rallying cry now the side are out of the playoff picture. Words. Every week just words. A bit late for that now the season has gone. More pointless words. As a centre half he couldn't lace Jack Charltons boots. He's all gob off the field and a mute on it. They all need to shake their heads and wake up. Fine rallying cry that should have been said at Christmas or before. Heard it all before or similar expressions from other players. It was time to stand up and be counted months ago! Jansons far from the worst player but it’s still the same regurgitated talk! Seasons over.